Even though the Samsung Galaxy Note 5 is not official yet we all are very clear about the fact that it is on the way. The Galaxy Note 4 was held to be the best smartphone in the world for almost 6 months when the position was taken by the Galaxy S6 and Galaxy S6 Edge which is also by Samsung as we all know. 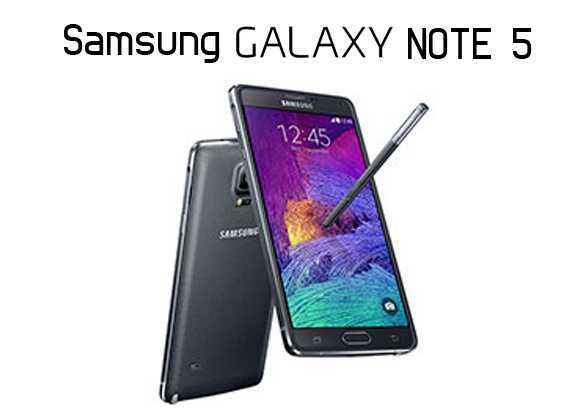 The Note 4 might be the finest Phablet available currently but the Note 5 is just around the corner. Will the Note 5 be better than its prequel which is currently the finest phablet available? Whhat more could Samsung possibly create in the sequel? Read on to know about it. The Galaxy Note 4 design appears to be lacklustre response to the Samsung Galaxy S5. Note 4 was big (153.5×78.6×8.5 mm) weighing 176g. However the black metal sides, the silver trim, and the soft, textured rear gave it an air of importance. The display took about 75% of the body so it never felt too big, in spite of it being big. The Galaxy Note 5 is primed to take further steps into the domain of premium feel. This will have a metallic unibody. There are chances that Samsung will rule out expandable storage and a removable battery in this model. Has a QHD screen with a 5.7 inch display. Super bright, highly detailed, responsive and provides excellent viewing angles. We probably will not see a 4k resolution just yet. This would surely be too costly and far too hard on the battery. The chances are that we will see the display which is no different from the Galaxy Note 4. with galaxy note 5 cases you can protect your loved phone. Quad core Qualcomm Snapdragon 805 processor or Exynos 5433, depending on where you purchased it. Samsung will be using its own chipset on the Note 5 which current rumours suggest will be Exynos 7422 chip. The Exynos 7422 chip is said to combine an octa core CPU, GPU and RAM and Samsung’s Shanon LTE modem in all-in-one package. This will be new for Samsung. The reason for Samsung to use their own chipset is because they split with Qualcomm. Battery has a capacity of 3220 mAh, which means it has a good battery life, especially when a QHD display is on. Offers quick charging, around 50% in 30 minutes. Wireless charging is also an option. If the battery has to be improved any further Samsung will have to make the phone longer or wider. But it seems Samsung is not going to be altering the size a great deal. Both the phones are likely to get upgraded to Android M which has upgraded power management features further improving the battery usage, hence saving on more battery.